More kids than ever feel worried, stressed out, and anxious every day. Their parents and teachers may not know—because kids don't want to talk about it, or they don't know how to put their worries into words. Their "secret stress" surfaces as stomachaches, headaches, fatigue, trouble sleeping, loss of appetite, and an inability to concentrate. These and other stress-related symptoms can have a negative effect on school performance, family life, and friendships. From the best-selling authors of True or False? 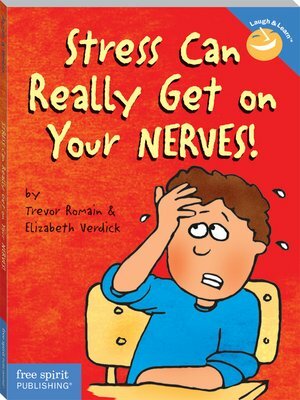 Tests Stink!, this book is a helping hand for kids and an eye-opener for adults. Reassuring words, silly jokes, and light-hearted cartoons let kids know they're not the only worry-warts on the planet—and they can learn to manage their stress. A "What, Me Worry?" section describes the causes of stress and its physical and emotional effects. "How to Be a Panic Mechanic" gives kids ideas for dealing with stress and being stronger and more assertive.